German , French and English language classes. We have two centers. Ashiyana and Alamnagar. We take class online as well. We have highly qualified Teachers . We also have native speakers, who interact with Students on regular basis. Landmark: Near Kamla Convent School. 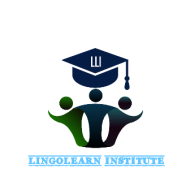 Lingo Learn Institute conducts classes in German Language and Spoken English. It is located in Rajajipuram, Lucknow. It takes Regular Classes- at the Institute and Online Classes- via online medium.